At the 6th Street/Jackson St entrance to 880 there are piles of trash, tall weeds, etc that have been there for months. All along the fence of the on ramp, the opposite side of the ramp that is lined by the concrete freeway base, and at the street corner where the ramp starts. The same trash piles have been growing for months. The City of Oakland Call Center has received this issue. Your service request ID is #815782. Please check back for status updates, or contact us directly at 510-615-5566. The City of Oakland Call Center has referred this issue to CALTRANS TRAFFIC,. Please contact that department to follow-up (see "Other Helpful Links" at http://www2.oaklandnet.com/Government/o/PWA/Connect/ReportaProblem/index.htm#Links). OAK 311 has received this issue. Your service request ID is #853430. Please check back for status updates, or contact us directly at 510-615-5566. The City of Oakland addressed this issue on 04/19/2019, service request #853430. Ever Friday this person set ups his illegal restaurant on a blind corner, the wrong way , blocking a stop sign and the sidewalk. This is an accident waiting to happen and need to be dealt with asap. His customers are rude and yell at you for blocking his tables while you try to see around the restaurant. OAK 311 has received this issue. Your service request ID is #896980. Please check back for status updates, or contact us directly at 510-615-5566. OAK 311 has referred this issue to NUISANCE, ABATEMENT. Please contact that department to follow-up (see "Other Helpful Links" at http://www2.oaklandnet.com/Government/o/PWA/Connect/ReportaProblem/index.htm#Links). OAK 311 has received this issue. Your service request ID is #897070. Please check back for status updates, or contact us directly at 510-615-5566. OAK 311 has received this issue. Your service request ID is #897076. Please check back for status updates, or contact us directly at 510-615-5566. OAK 311 has received this issue. Your service request ID is #895717. Please check back for status updates, or contact us directly at 510-615-5566. The City of Oakland addressed this issue on 04/19/2019, service request #895717. OAK 311 has received this issue. Your service request ID is #896880. Please check back for status updates, or contact us directly at 510-615-5566. OAK 311 has received this issue. Your service request ID is #894961. Please check back for status updates, or contact us directly at 510-615-5566. The City of Oakland addressed this issue on 04/15/2019, service request #894961. OAK 311 has received this issue. Your service request ID is #896621. Please check back for status updates, or contact us directly at 510-615-5566. Orange car wheels stripped. Please have someone remove this. OAK 311 has received this issue. Your service request ID is #895487. Please check back for status updates, or contact us directly at 510-615-5566. 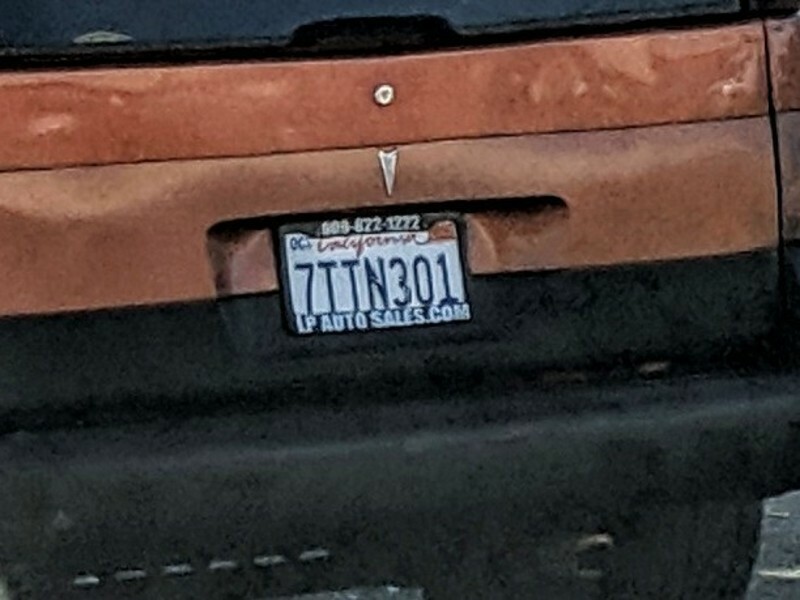 The Orange Pontiac Vibe's license # is 7TTN301 - it was parked for weeks on Hegenberger Loop along with other campers. 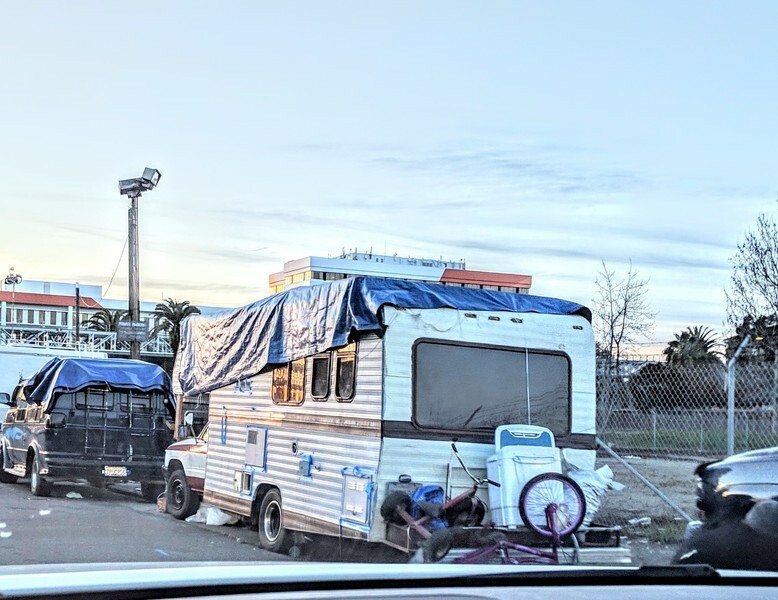 The camper in front of it has no plates, not registered - garbage piling up around it. It too was parked on Hegenberger Loop for weeks. Shame on Mayor Schaff & the Council for not designating some of Oakland's vacant land for these people to park vs. City Streets.